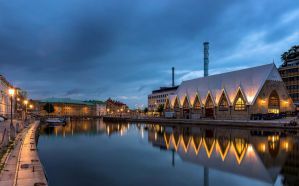 Scandinavia is a notoriously expensive part of Europe to visit, and accommodation is no exception. If you're traveling on a budget, you'll likely find the most affordable accommodation through hostels. Despite being a cheaper alternative to a hotel, hostels are often modern and centrally located. The quality and atmosphere of hostels can vary from place to place, but they often offer the best option for backpackers, students, or other budget travelers. How much do hostels in Sweden cost? An affordable hostel for backpackers, students, and groups of friends in Stockholm, Sweden. City Backpackers Hostel is a favorite hostel for backpackers to Stockholm, Sweden. It's one of the most popular hostels in the city and it's easy to see why. The hostel offers all kinds of activities for guests, so if you're traveling alone it's not hard to meet others. There are free pasta nights, a free sauna, and regular movie nights. There's even free ice skating rental in the winter months. The hostel is in a central location about half a kilometer from the central train station and bus terminal. It's also walking distance to the old town and the main shopping area in Stockholm. Despite its central location, the area is quiet and very safe. The hostel offers dorms that sleep between four and twelve people. If you want a little more space and privacy, there are single and twin private rooms. There are also three apartments to choose from that sleep up to eight people and have their own kitchen. A safe and fun hostel for backpackers, students, and budget travellers in Copenhagen, Denmark. Generator Hostel Copenhagen is a large and fun place to stay in the middle of Copenhagen. Like everything else in the city, it's a bit expensive and the price seems to climb even higher as they charge for everything. Still, the hostel is a great option because it's centrally located near anything you might want to see and do. The staff are friendly and there's a fun bar and lounge area where you can hang out. If you're hoping to meet other guests, it won't be hard because there always seem to be people around. The hostel has dorms that sleep six or eight people. If you want a little more space and privacy, there are private rooms that range in size and include singles, doubles, twins, and three, four, or six bed units. A clean and comfortable hostel for backpackers and students in Oslo, Norway. If you're looking for a modern and somewhat affordable place to stay in Oslo, the Oslo Hostel Central is a decent option. The rooms are a bit small, but they're kept clean and comfortable. There are dorms that sleep anywhere from four to twelve people, with everything in between. There are also private twin rooms if you want a little more space and privacy. Like everything else in Norway, the price is a bit high, but the location is good with many sights and attractions nearby. The staff here are also friendly and knowledgeable and they can help you with all kinds of recommendations for things to do around town. A quiet, safe, and affordable hostel in Bergen, Norway. Marken Gjestehus is an affordable and clean hostel in central Bergen. It makes a great base for exploring the city, and it is walking distance to many sights and attractions as well as public transportation. The hostel has 22 rooms in total including dorms that sleep four, eight, or ten people and private twin rooms. The hostel has a variety of facilities available for guests including a full kitchen, a television lounge, and laundry facilities. The hostel has a quiet but friendly atmosphere where you can enjoy a good nights sleep after a busy day exploring the town. A quiet and affordable hostel in Helsinki, Finland for backpackers and students. Hostel Diana Park is a quiet and cozy hostel that is centrally located in Helsinki. It's in a great neighborhood that is surrounded by many shops, bars, and restaurants. The hostel has about 15 rooms that include both dorms and private rooms. The dorms sleep between four and eight people and the private rooms include singles and twin rooms. The hostel has all of the standard amenities for guests including a shared kitchen, a 24 hour reception area, a common room, security lockers, and all kinds of travel information. The staff can help you with any recommendations that you might need and nearby you'll find plenty of places to grab food or wander around. A quiet and affordable hostel for backpackers and students in Gothenburg, Sweden. Linneplatsens Hotel and Hostel is both a hotel and hostel. The atmosphere is friendly, but does feel a bit more like a hotel than a hostel. There are dorm rooms that sleep up to six people and each dorm room is split by gender. There are also private twin, double, and four or six bed rooms. The rooms are clean and comfortable and the price is very reasonable. The hostel also offers a shared kitchen which guests can use to prepare their own meals. The building is in the neighborhood of Linnestaden, which is a bit outside of the city center but is still close to shopping and restaurants. If you're traveling on a budget but still want a clean, modern, and comfortable place to stay, then this is a good option. 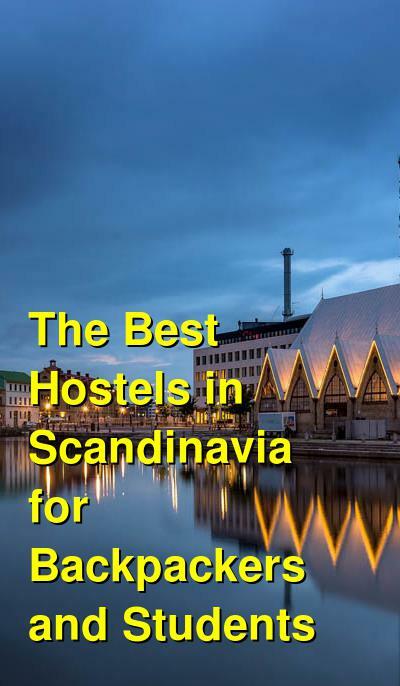 A quiet and safe hostel for backpackers and students in Malmo, Sweden. This hostel is a good option for backpackers, students, or budget travelers who want a modern place to stay without spending too much. The atmosphere is a bit quiet so it can be difficult to meet other guests, but the rooms are comfortable and the price is reasonable. The hostel is located in the heart of Malmo. It's near several pedestrian streets and there are plenty of restaurants and cafes nearby. The hostel has a variety of different room options to choose from. If you're traveling on a particularly tight budget then there are dorms that sleep either four or six people and are split by gender. If you have a little more money to spend and want a little privacy, there are a variety of private rooms available that sleep between two and four people.